We’d love your help. Let us know what’s wrong with this preview of Sea Island by Lester Ferguson. 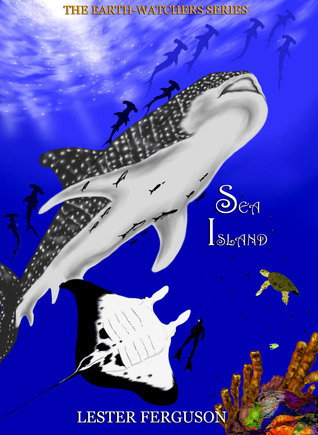 To ask other readers questions about Sea Island, please sign up. Ferguson. This book is in the Earth Watchers series by Lestor Ferguson. So far, I have read two books from this series, and love both of them! the oceans will become over fished and remain without fish in the near future. for the two main characters In this book. definitely is in this story. certainly feel like this book helps the reader to see past racism as well as take heed to what is happening environmentally that is dangerous to all living beings. All of this to say that it helps one to become a better person in life. I rate this book a FULL FIVE Stars and encourage parents everywhere to take an interest on hot topic environmental issues affecting our communities across N. America. Not only was this an excellent read but the illustrations were fantabulous! * I was given this book in exchange for an honest review. All opinions are mine and I have not been compensated for them. Wild Bill, Old Blue, Kel and Mimi share their experiences underwater near the Bahama Islands--a pair of Islands, the one being called Sea Island. Here we learn the story of Wild Bill and Old Blue, two very different characters who (back in older times shouldn't be friends because of the race issue) share the same love of the coral reef and the aquatic life that live there. By reading this story, we all learn about the problems that the ocean and the coral reef have because of humans hunting the s Wild Bill, Old Blue, Kel and Mimi share their experiences underwater near the Bahama Islands--a pair of Islands, the one being called Sea Island. Here we learn the story of Wild Bill and Old Blue, two very different characters who (back in older times shouldn't be friends because of the race issue) share the same love of the coral reef and the aquatic life that live there.